Saint Patrick’s Day has been associated with everything Irish such as anything green, shamrocks and luck. Most importantly, St. Patrick’s Day is a day for spiritual renewal and offering prayers for missionaries worldwide. In American cities with a large Irish population, St. Patrick’s Day is well celebrated. Although big cities and small towns celebrate alike with parades, music and songs, wearing of anything with a shade of green, Irish food and drink, and activities for kids such as coloring pictures related to anything Irish such as leprechauns, shamrocks, etc and by doing crafts and playing games. Some communities even go so far as to dye rivers or streams green just like what happens to Chicago River every year. It started to be dyed with the perfect Irish green last 1961 and from then on, this was done annually to celebrate St. Patrick’s Day. When it comes to giving, some people stop at nothing especially if you are giving a special person in your life. St. Patrick’s Day is coming soon, have you figured out what to give to your man? To make your life easier, we have here the top six St. Patrick’s Day gift that you could give to your man, brother, uncle or guy friend. Feel free to check out below. Erin Go Braugh! Don’t be deceived by your eyes, this is not a real tuxedo suit. It’s just a shirt. Pretty cool, huh? 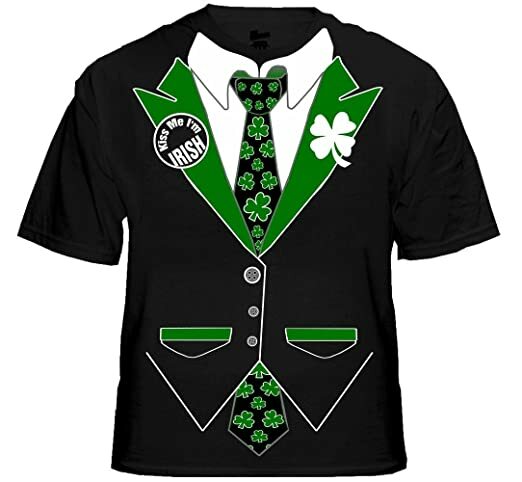 This Irish Shamrock Tie Tuxedo T-Shirt is a sure way to let your recipient be at his best on St. Patrick’s Day. With its realistic details, almost all of the symbols of St. Paddy’s Day have been incorporated together such as the color green, shamrock and the “Kiss Me, I’m Irish” quote. Stroke of good luck and good vibes seem to come in handy with this charming tee. It comes in various sizes from Small to Triple Extra Large. This shirt also comes in three different shades: Black, Dark Green and Kelly Green. Imbibe the Irish spirit and have fun on St. Patrick’s Day with this cool shirt. The most popular plant on St. Patrick’s Day is the clover or the shamrock. Being the national emblem of Ireland, the shamrock played a significant role in St. Patrick’s demonstration of the doctrine of the Trinity. The Trinity is the idea that God is one entity with three personas just like the shamrock is one leaf with three parts. It later became a symbol of good luck for the Irish and of many other nationalities. 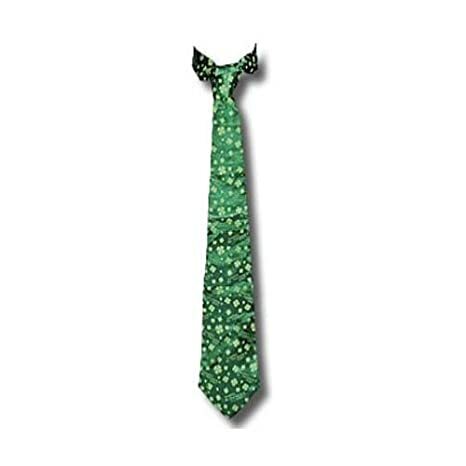 Make your guy pretty lucky this coming St. Patrick’s Day and be more handsome as he wears this trendy and fashionable clover poly printed tie. This tie can be worn at work or even at play. This silky and light weight tie is 57 inches long and 3 ¾ inches wide. It only weighs 0.8 ounces which makes it ultra light weight and won’t strain the neck of its wearer. Let your man’s eyes sparkle with the help of the green clovers on this tie and be saved from being pinched on St. Patrick’s Day. Make your better half’s style be in line with the coming occasion. Let him spice his wardrobe up with this shamrock cufflink and attract good vibes and luck on St. Patrick’s Day. This rhodium plated cufflinks makes his sleeves look elegant and classy. 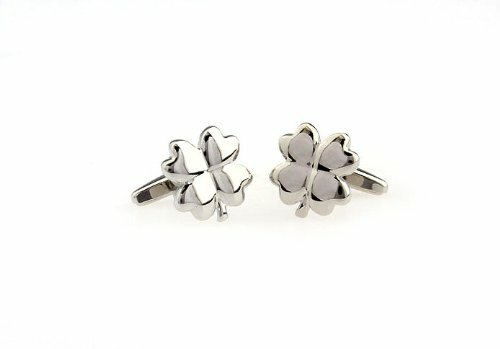 The Shamrock cufflinks can be worn on St. Patrick’s Day parties, family gatherings or even at work. This four leaf cufflink could definitely transform his outfit from standard suits to a dashing debonair. St. Patrick is Ireland’s national apostle and patron saint. He is known to have brought Christianity even to the grassroots level of pagans in Ireland. He is also popular for using the shamrock to explain Holy Trinity to non believers. March 17 became a religious holiday in Ireland as one theory suggested that St. Patrick died on this day. This holiday began in Ireland but was later on celebrated all over the globe because it is believed that he Irish has spread around the world and took their customs and traditions with them. 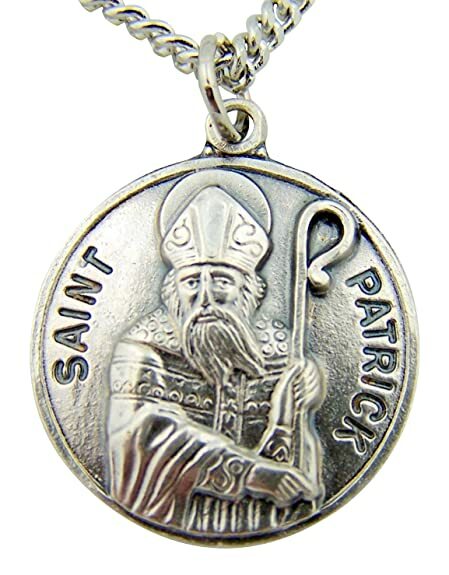 Celebrate this special day of St. Patrick by gifting a pendant medal of his image to your male friend, other half or relative. It is made from the finest oxidized silver finish and is carefully and amazingly detailed in Italy. Gifts like these are not found in stores which makes it exquisite and one of a kind. The St. Patrick Pendant Medal comes with a chain that is rhodium plated which is enclosed in a presentable gift box. Make your present mark this coming St. Patrick’s Day. St. Paddy’s Day is a popular celebration which involves downing pints of Guinness, green whiskey and other green tinted liquor. Approximately five and half million pints of Guinness is consumed at a regular day worldwide but this number maxes up to thirteen million on St. Patrick’s Day. If you have a friend or a special someone who loves alcohol too much and is looking forward to St. Patrick’s Day gulping bonanza then this is the best gift that you could give him. This personalized beer mug can have two lines of up to fifteen characters per line engraved on it. You can keep your message well presented on this sturdy mug. It weighs about 2 pounds just like how beer mugs should be, sturdy and heavy. 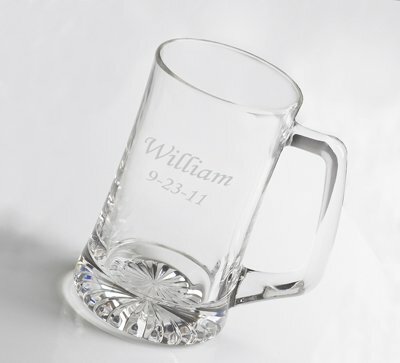 Be well remembered as you gift this personalized beer mug with your engraved keep sakes or personal memories. Bottoms up on St. Patrick’s Day! Guinness is the go to brand of beer on St. Patrick’s Day. 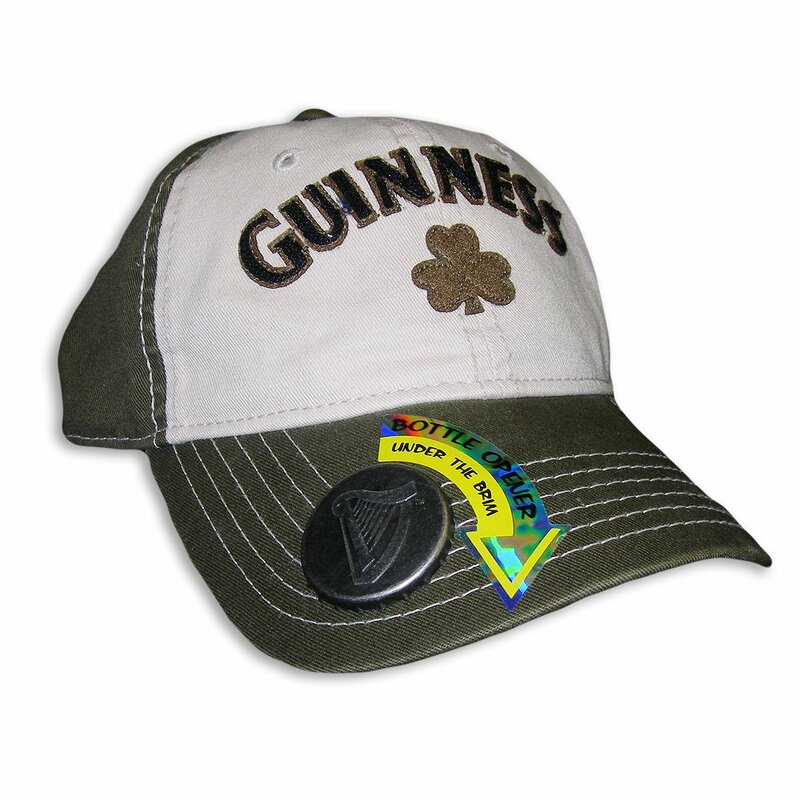 Downing of pints of Guinness can be easier with the help of this fashionable yet fully functional cap. This Guinness Shamrock Opener Cap can help your beer lover friend and save time in looking for the beer opener. This cap has a beer opener at the brim and makes opening Guinness without fuzz. Designed in green and white with a shamrock and Guinness logo on top makes this cap stand out on you and your friend’s St. Paddy’s Day pub crawling.